What Exactly Are We Brits As Football Fans? Where Next for Rodgers And His Ego? Spieth celebrates winning his maiden Masters title. The end of the US Masters golf tournament was strange in a way, in that it was so anti-climactic. 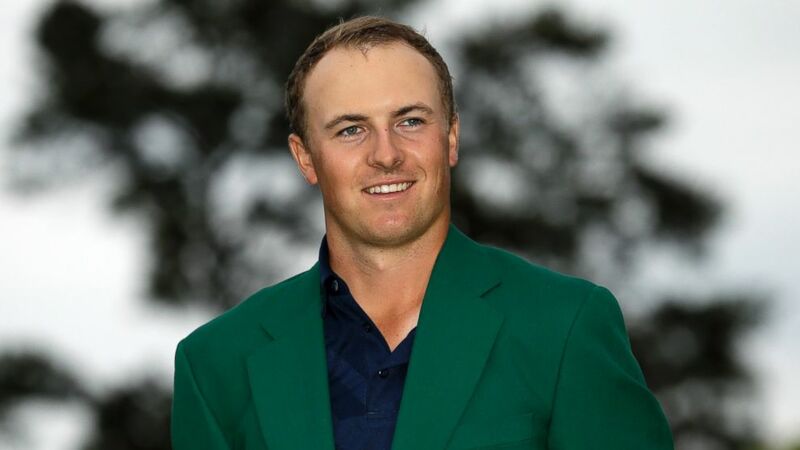 At no point during the final day of four was there any real challenge to the leadership, with Jordan Spieth never being any less than three shots in the lead as he romped home to joint-record score to claim the famous green jacket. In previous years the tournament has so often been closely contested, with two of the last three years seeing it go down to a play-off, while leaders going into the day have all too often been seen to crack under the pressure and slide down the leaderboard. Rory McIlroy is one of those who has buckled under the pressure in previous years and the world was watching to see if he could complete his collection of Grand Slams, with all other competitors often being viewed as afterthoughts in a sport dominated by two personalities; the golden boy from Northern Ireland and struggling former champion, Tiger Woods. 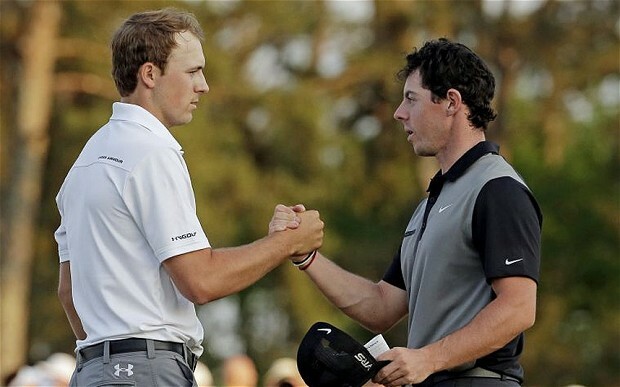 By the end however, despite respectable scores on behalf of those two, the world was talking about one person and one person only, with Spieth producing a stunning four days of golf to equal the record of 18 under par; a record set by the emerging Woods back in 1997, prior to a decade of dominance of golf. That a bogey on the final hole ensured that Spieth merely equalled it as opposed to beating it shows exactly how impressive the Texan was in his tournament, given the level of competition he actually had to deal with. Both Justin Rose and Phil Mickelson posted scores over the four days that would have seen them claim the green jacket in ten of the last 13 tournaments, while securing a play-off in one further, so for Spieth to still record such a comprehensive victory speaks volumes, as he led from the very first day and never even looked like relinquishing that stranglehold. There was nobody willing to begrudge Spieth his victory after that performance and there were no character assassinations either, in a sport that is so very individual that egos are aplenty. Woods’ various indiscretions are well-documented, while McIlroy still has those comments in regards to the Ryder Cup held against him in certain parties, with his upturn in form after calling off his engagement to tennis player Caroline Wozniacki further enhancing his reputation of no working well with others. Mickelson has always had an aura of arrogance about him in everything that he has done, while in recent years, it has become hard for anyone outside of the United States to really take to a champion named ‘Bubba’ without doing poor impressions of Forrest Gump. America’s issue is that it has frequently bred bad winners, with success and fame seeming to go to their heads quicker than many other nations and arrogance seeming to set in quickly. In golf it can be understandable, as confidence will always be required in a game that largely revolves around the individual, but it makes it hard for the average man on the street to really take to any competitor other than basing it purely on national pride. With the old saying claiming that ‘everything is bigger in Texas’ suggesting the egos there would also be amplified, it would only be natural to expect a champion from the Lone Star State to have a slightly obnoxious air about them in victory. Yet in Spieth, America now has a champion that holds appeal throughout the world of golf, with his humble attitude and cool demeanour making him instantly likeable to viewers. This was not some outside-shot who somehow defied the odds this one time and may well disappear altogether. Spieth was a runner up last year as Bubba Watson won the green jacket, has four titles to his name already and has been a top ten finisher in ten of his last 16 major tournaments. Yet there was no expectation that his time would come and the 21-year-old was still in a state of shock when he holed his final putt to seal the victory, despite having held a healthy lead throughout the four days in Augusta. There were no gestures to the crowd as he walked through the course on Sunday, despite having consistently been able to enjoy a comfortable position at the top, having recorded a record number of birdies in the process of his triumph, sinking 28 overall..
His post-victory speech was one of absolute humility, with an almost childlike acknowledgement that it was ‘cool’ to share it with his on-looking family and essentially giving the vast majority of the credit to his coach, while he also admitted to having endured a fairly sleepless night prior to staring his final round. There is already being plenty more predicted to come from the 21-year-old Spieth, who will have to put up with the pressure that will inevitably come with winning his first major tournament at the same age of Woods, and this will be the real test of his personality. But for the time being, we can actually enjoy celebrating an American and golfing champion who does not appear to have any grating personality flaws and still seems enamoured with just playing the game in blissful ignorance of the side effects of success. As is the way with most sporting blogs, it’s time to look back at the year past, see what was good and what was not so. And why should I be any different, as I restart this page with a look to 2010 and do some cap doffing and some sorrowful head-shaking. Here are my five winners and losers from the past calendar year. I Can’t do this without acknowledging the winner of BBC’s Sports Personality of the Year. And a quite deserved one really, as Tony McCoy has now won everything having completed the set with the Grand National in April. Still one of the most personable people in the sporting world, this was the crowning achievement on a glittering career that will give him legendary status in the ‘Sport of Kings’. It could be said that I haven’t given too much attention to women’s sport in this column. So I’ll apologise and attempt to amend that with recognition to Jessica Ennis, who has had another good year and stepped that up to claim gold in the heptathlon at the European Championships to follow world success in 2009. In addition to claiming the title, Ennis set a Championship record of 6823 points to confirm her position as the best heptathlete in the world currently. She also announced that she became engaged on Christmas Eve to top off a perfect year for her. From the fringes of a Spurs side and potential loan move to the Championship to one of the most feared left wingers in 12 months is an incredible achievement in anybody’s books. With injury problems and a winless hoodoo hanging over his head at the end of 2009, Bale took advantage of an injury to Benoit Assou-Ekotto to reclaim his place in the team and produced several sparkling performances to help Tottenham seal a place in the Champions League. Having helped get them there, Bale then destroyed Inter Milan’s Maicon twice to earn a spot in FIFA’s team of the year. Linked with Nottingham Forest at the start of the year, Bale now has a £50million price tag on his head, with rumours circulating of interest from Real Madrid and Barca. An outstanding transformation in fortunes for the new Welsh Wing Wizard. There can be few arguments against the notion that Swann is now the best spin bowler in the world on current form. With Shane Warne and Murali Muralitharan’s retired, there is nobody in the class of Swann, who has a knack of being a game changer on any surface. He has developed a knack of coming into the England attack and breaking batting partnerships, even when the wicket suggests that spin won’t be effective. Nobody turns the ball quite like Swann and it is he that has transformed England into a remotely feared outfit and helped England retain the Ashes Down Under for the first time in over 20 years. It may not have been plain sailing with rumours of in-team disputes circling Red Bull’s emergence as a serious force in F1 and a fractured relationship with teammate Mark Webber. But at the end of the day, Sebastian Vettel came out the other side as the champion, the youngest that Formula One has ever seen to cap a remarkable rise to prominence. What a year for Wayne Rooney. 2009 ended with him lauded (rightly or wrongly) as one of the best forwards in the world, but 2010 was a whole different story. He failed to score a goal in open play after March, as Manchester United surrendered the title to Chelsea and then proceeded to be unimpressive for England in their failed World Cup campaign. This included that rant at the England fans who were disappointed with a goalless draw with Algeria for some reason. Few were keen on him after that, and he isolated those United fans by trying to force a transfer away, only to sign an improved deal to make him one of the best paid players in the world despite having been frankly poor upon the resumption of the season. See Tevez, Carlos under that bracket too. But his performances justify it. It would seem unlikely that Ponting will remain as captain of Australia after this Ashes series, as his tenure has become somewhat laughable of late. Australia now sit the lowest in the international rankings I ever remember them being in my lifetime, and as stated above, surrendered the Ashes on home soil for the first time 20 years. This is having whitewashed England in their last visit. Is it his fault necessarily that there is a paucity of talent emerging in Australia? Well, no, but the lack of dignity he has carried in losing positions ensures that he enters this list, complaining at officials for completely absurd decisions as he may well be remembered for this late decline in his tenure. A shame for a talented batsman, but the latest achievements or otherwise are what people are remembered for. Rugby has in the past couple of decades held a better class of competitors than its footballing counterparts. Real men played this game, not those preening pansies that adorned the round ball game, afraid to take a tackle or get their kit dirty. Somehow you feel Gavin Henson has made it into the wrong game. More focused on his appearance than any other rugby player I can care to think of, he just doesn’t fit in with the sport. This is why rumours have circulated about him quitting the sport, to go sailing or whatever nonsense seemed to suit him whilst he dodged his contractual commitments (although injury was stated as a reason there). Having regained fitness and escaped his contract with Ospreys, he was set to join Saracens, but could only do so having ponced about on Strictly Come Dancing. He’s a bit of an embarrassment to the sport. Why? What was the point? David Haye deserves as much of a mention for dodging a real title fight to engage in that utter waste of time. But Harrison’s talk of knocking Haye out with his ‘big left hook’ seemed the stupidest trash talking to ever have taken place, as he only landed a solitary punch in the three rounds it took for the referee to stop the fight. It was a joke of a fight and he remains a joke of a fighter. He should never have been put in such a position of embarrassment in the first place, but all the talk prior to his ritual dismantling was just pathetic. What a disaster of a year for one of the most iconic sportsmen to have ever graced the Earth. As stated earlier, people are often remembered for what happens at the end of their careers and Woods remarkable trophy haul will forever be overshadowed by the very public way his marriage fell apart after accusations of infidelities. On top of that, his sporting performance suffered as well, going the entire season without an victories for the first time in his career. He also surrendered the top ranking spot to Lee Westwood in October, the first time he’d done so since his brief slip up to Vijay Singh in 2005. 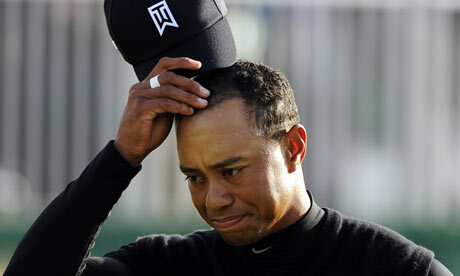 A year to forget for Tiger. Colin Montgomerie exploded yet again at the Open, with his second round marred by a complaint against the noise coming from the BBC staff. Apparently the Scot deemed the sound emanating from the BBC truck to be excessive and putting him off his golf. It’s quite a shame that this is not the first time this sort of thing has happened and it really must put his captaincy of the European Ryder Cup team under scrutiny. ‘Monty’ has a history of expletive-fuelled rants at cameramen, fans and the media for seemingly minor infringements which suggests that he struggles with pressure. These outbursts only seem to come when he isn’t playing his best golf. There always seems to be an excuse for his own poor form, whether rightly or wrongly. With fellow countrymen, Andy Murray and Sir Alex Ferguson prone to such things, you must wonder what they put in the water in Scotland. But having seen how liable Montgomerie is to wild reactions, just watch as the US team spend the next three months jibing at Montgomerie and trying to get under his skin. They already had the fact that the European captain had yet to win a major tournament to remark about the Scot. Now his lack of temper control will be the focus of the Americans and they will look to exploit that character flaw at every opportunity. Monty is likely to snap at these barbs as well. Outbursts to the press will only serve to prove that the US are winning the battle of the mind-games. It is time for the Scot to try and tame that fiery temper if he is to serve his continent well this October. For if he allows the Americans to get to him, he could be prone to mistakes brought about by tension. Failure to regain the Ryder Cup will leave nowhere to hide for Montgomerie. He is the figurehead this time, the leader. The blame will lay squarely on his shoulders should success not be delivered. The time has come for Montgomerie to stand up and be counted. Victory would represent his finest achievement in golf. Europe can only hope that the pressure (and the Americans) don’t get to him first.